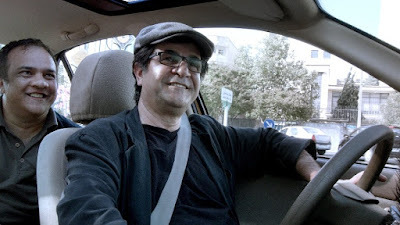 That Taxi Tehran exists at all is a minor miracle, its production a brave act of defiance by director Jafar Panahi undertaken at considerable personal risk. Panahi was the subject of a 20-year filmmaking ban in 2010, accused by the authoritarian Iranian state of conspiring to distribute propaganda against the Islamic Republic. You can't keep a good man down, however, and Taxi Tehran, released on DVD and Blu-ray by New Wave Films on the 22nd of January, is actually the third clandestine project Panahi has completed since that sentence was passed. Unlike his two previous releases, This Is Not A Film (2011) and Closed Curtain (2013), both of which were shot under house arrest (the former famously smuggled out of Iran on a USB stick baked inside a cake), Taxi Tehran finds Panahi out and about, now apparently free to tour Iran's capital and working as a cab driver. Borrowing its structure from compatriot Abbas Kiarostami's Ten (2002), Panahi's latest turns out to be a loose docudrama taking place almost entirely within the confines of the titular vehicle. What action there is is caught on a dashboard-mounted security camera. Its characters are the passengers Panahi picks up and drops off: a bootleg DVD dealer star-struck to find one of his heroes behind the wheel; a man badly injured in a motorcycle accident being raced to A&E by his hysterical spouse; a pair of cantankerous, superstitious old biddies anxious to reintroduce their goldfish to a local river before noon. Panahi's cab serves as a haven, a liberated public space in which these citizens can speak privately. 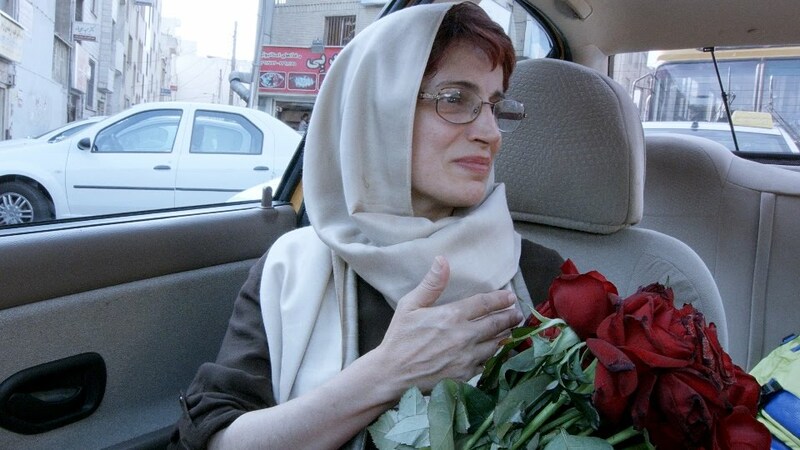 A school teacher takes a mugger to task for his reactionary Sharia views on capital punishment; a disbarred lawyer, delivering a bouquet of red roses to a girl imprisoned for attending a volleyball game, speaks eloquently about human rights. Both are safe in the knowledge that their decidedly off-message opinions will not be overheard by disapproving informers. The director's interactions with his fares (played by unnamed non-professional actors) are mostly lightly comic in tone, however. Far removed from the haunted loners of Satyajit Ray's Abhijan (1962) or Martin Scorsese's Taxi Driver (1976), this film views the profession as a means to friendly, if frequently farcical, interactions with strangers. Hope for the future is represented by Panahi's precocious niece Hana Saeidi, whom he collects from school and who is also making a movie, it transpires, for a class project. Hana has been cautioned by her teacher not to include "sordid reality" in her work, but we're confident she'll find a way to subvert the task, so long as her uncle is around to offer a guiding hand. The ubiquity of smartphones and digital cameras throughout also seems to hint at a better tomorrow, providing people with the tools to record their own truths, even if they have to use illicit backchannels to distribute them. Panahi's straitened circumstances have come to shape his work, challenging him to turn adversity into opportunity. They have also made him an international cause celebre, roughly comparable to Chinese dissident sculptor Ai Wei Wei. Taxi Tehran was awarded the Golden Bear at last year's Berlinale, a highly political choice that should be applauded. Panahi himself is still prohibited from travelling abroad so couldn't collect the prize in person but Hana did so in his stead, a nice extension of her role in the film. As with Sean McAllister's heartbreaking recent documentary A Syrian Love Story, everyone with a humanitarian conscience should see Taxi Tehran. Forget awards season hype, these are films that really matter. Taxi Tehran. Iran 2015. Directed by Jafar Panahi and starring Jafar Panahi as himself. Taxi Tehran is released on DVD and blu-ray by New Wave Films on the 22nd of February.